Kodansha Comics is proud to announce the debut of Yoshitoki Oima’s newest manga serial, the spiritual fantasy To Your Eternity. You can read the entirety of Chapter 1 for free, below! The first 10 chapters of To Your Eternity are available on January 24th as digital editions on comiXology and Kindle. January 24th is the same day Chapter 10 appears in Japan; new chapters will follow every week in simultaneous timing thereafter. Chapters will be priced at 99 cents each. Following the critically acclaimed A Silent Voice—which was nominated for an Eisner and named one of 2016’s “Great Graphic Novels for Teens” by the American Library Association—Oima goes in a completely new direction with this compelling tale of an abandoned native boy journeying alone in the frozen north with only a mysterious wolf for a companion. Read our interview with Yoshitoki Oima here. That's not all! 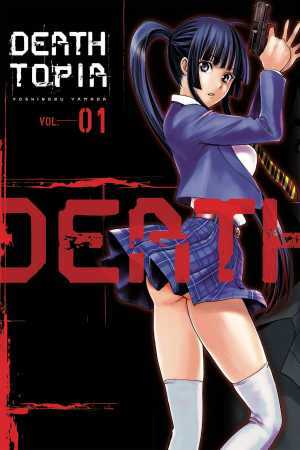 January sees the beginning of an aggressive ramp-up in new digital manga series from Kodansha Comics, and we've got the hot new title by legendary manga-ka Hiroaki Samura (Blade of the Immortal, Die Wergelder), Wave, Listen to Me! also debuting January 24th. 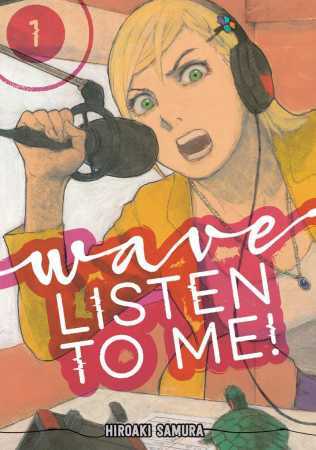 Something of a departure for the action-oriented Samura, Wave turns its attention to modern life in the big city, as a despondent, hard-drinkin' young woman inadvertently finds herself the host of a hit talk-radio show. Also on the 24th we release Deathtopia, the latest gonzo thriller from Cage of Eden’s Yoshinobu Yamada, about a young man who gains supernatural powers from an accident but then finds himself embroiled with a serial killer with a disturbing fondness for eyeballs and a band of intriguing beauties in hot pursuit. 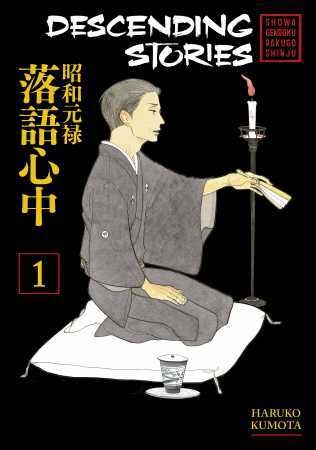 This month also saw the digital release of Descending Stories: Showa Genroku Rakugo Shinju. The Descending Stories anime was the surprise fan and critical fave of 2016—with Season 2 now simulcasting on Crunchyroll. Now you can read Haruko Kumota's multi-generational epic that delves deep into the world of rakugo, a rich form of Japanese storytelling theater. We announced the print edition of Descending Stories for May 2017, but digital readers can jump into Volume 1 right now—at a steep discount, as part of our current weeklong "Manga to Anime" sale! Volume 1s of Descending Stories, Wave, Listen to Me!, and Deathtopia are available for purchase or preorder across all Kodansha Comics digital book channels: BookWalker, comiXology, iBooks, Kindle, Kobo, and nook. Media: read our press release here.